October 28, 2010 by fmgarchitects. 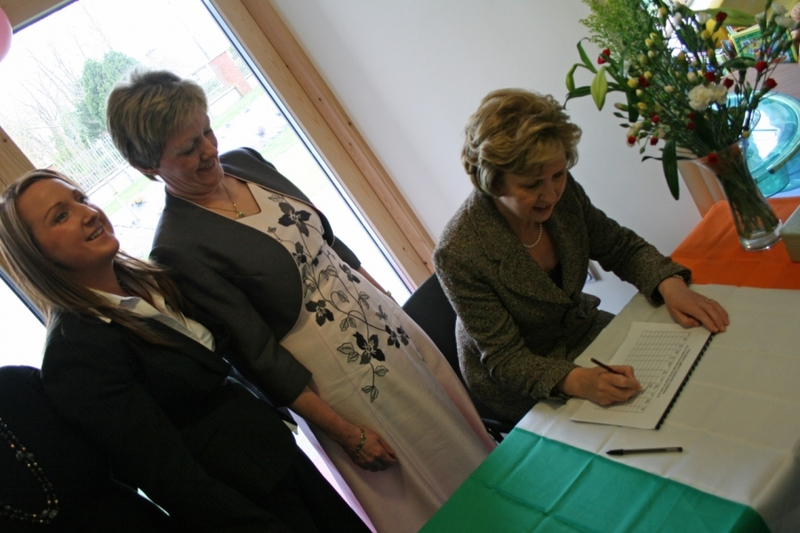 Following on from the opening of Le Cheile Community Childcare in Navan in March 2009, Mary McAleese was back this year to open the First Steps Facility in Dunshaughlin. The President was welcomed to the First Steps Childcare Centre in Lagore, by its chairperson Ellen Cogavin. The ceremony began with a blessing by Fr Clavin, after the president visited all the children in the playrooms. The president quoted her grandmother’s saying that ‘what was learned in childhood was engraved in stone’, saying how important a child’s formative years were. She paid tribute to the not-for-profit childcare facility which was driven by over four years of work by a local voluntary committee.